Rock, pop, hip hop, jazz or indie – whatever your jam is, you’re sure to find it at The Laurier Musicale student musical festival happening in the Quad on the Waterloo campus Saturday, Sept. 16 from 1 – 9 p.m. The festival, a first of its kind, features a mix of current student musicians and musical alumni from across Laurier’s faculties and programs. Sixteen acts are set to take centre stage at the festival, including The Controversial Sharks, Tea for Two, Pretty to Think, Sam Leavens and the WLU Junk Line. Morris, who teaches the fourth-year seminar course Music and Society is slated to perform with band mates Abby Goodrum, a professor in the User Design Experience program, and Jeff Fleming, a 2016 alumnus of the Faculty of Music. 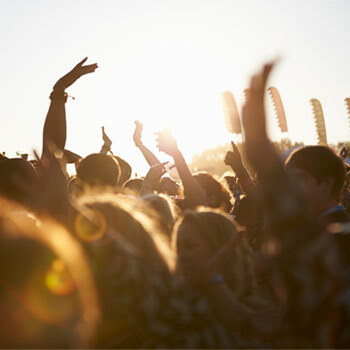 Representatives from various student clubs and associations at Laurier will be included at the festival, with an opportunity to promote their groups between acts. Veritas Café will be open on Sept. 16 to support the event. The festival, funded through the Student Life Levy, is free and open to all Laurier students, faculty, staff and community members. Questions about the event may be directed to Martin Morris at mmorris@wlu.ca.